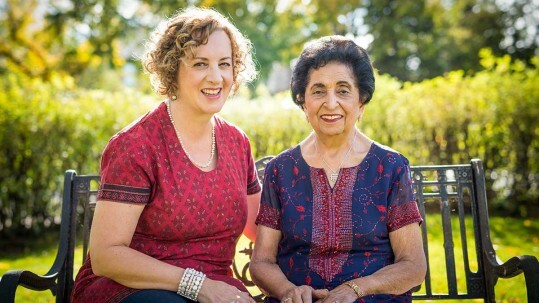 Beloved cookbook author and teacher Noorbanu Nimji is back with a new cookbook. 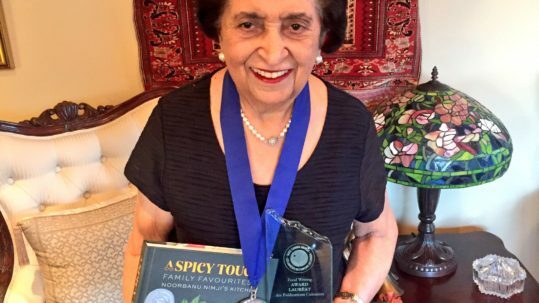 The three previous volumes in the A Spicy Touch cookbook series were published in 1986, 1992 and 2007 and can be found in all corners of the globe. 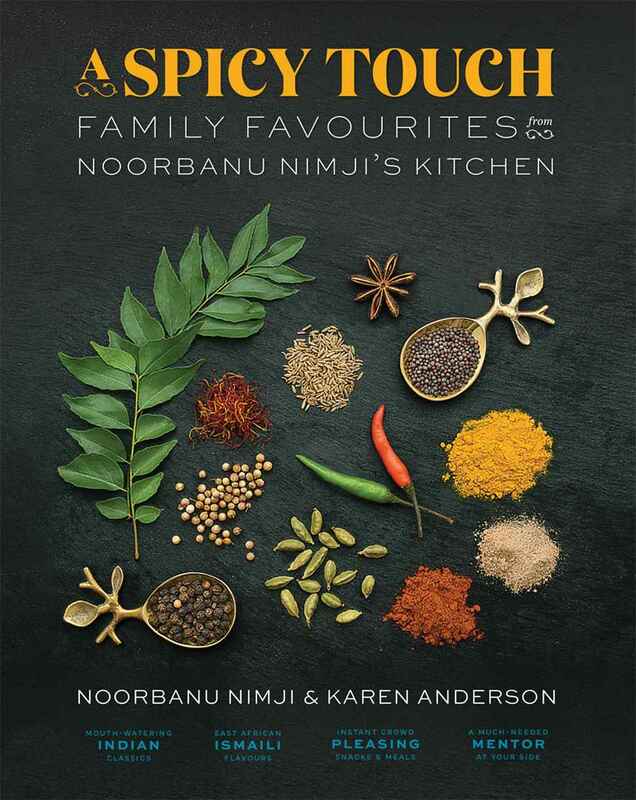 This new book A Spicy Touch – Family Favourites from Noorbanu Nimji’s Kitchen was launched in Calgary on December 7, 2015. It is a “best of” collection of the Nimji family’s favourites. Every recipe has been tested, retested and revised. New recipes have also emerged since the last book was published. An introductory chapter invites cooks on a tour of Noorbanu’s spice box, pantry, fridge and freezer to better understand how a master Indian cook sets up for success and how they can attain that same success one dish at a time. The book is hard cover with a binding that allows it to lie flat while you are cooking. The 320 pages are full colour with an easy-to-read font. There are many, many more photos and 225 recipes including 180 gluten-free and 154 vegetarian. Calgary-based writer Karen Anderson joins Noorbanu Nimji in the joyful task of bringing this body of work to a new generation of cooks wanting to learn the art of Indian cooking. The pair worked for nine years to bring this book to fruition and had the joy of building their own self-publishing dream team that included photographer Pauli-Ann Carriere of Vancouver, Platform Design of Calgary and editor Tilly Sanchez of Calgary. Food stylist Julie Van Rosendaal was consulted to give the food photography a fresh and inviting look and all photos were styled and shot in the author’s and photographer’s homes between January and July of 2015. From Indian Classics to the novel tastes of Indo East African fusion to contemporary Canada’s wide open global palate influences, this book delivers crowd-pleasing food with the voice of a great mentor to guide the cook. With this book everyone can cook with A Spicy Touch. “A Spicy Touch” can fill your home with the exotic aromas of faraway India, and delight your palate with flavours from subtle to sumptuous. From Biryani and Badam Pak, Samosas and Butter Chicken, you are offered a full range of Indian Cuisine from drinks and appetizers, through to the main course, to deserts and sweets. Keep up to date with the latest news .